Stefanie Erickson | CIGAR | After recent events, Sigma Pi has been forced to leave their on-campus house. On Tuesday Dec. 12, two students from the Sigma Pi Fraternity were arrested at their on-campus house by University Police for drug charges. Domenic Cianci and Kareem Boura were charged with illegal possession of marijuana and Adderall, forcing the fraternity into an emergency suspension. At the time of the incident, Sigma Pi was already on probationary status for minor incidents. The violation of the University’s alcohol and drug policy was the final straw in forcing more severe action upon the organization. The office of Student Conduct, Greek Life office and the Sigma Pi National Organization were all involved in the decision to suspend the Fraternity from campus until 2023. The organization currently owns property located in Fraternity Circle. On the night of Dec. 12, University Police were called to the house as a fight broke out. One student did commit a felony. As a result of the incident, the Sigma Pi National Organization decided to shut down the house. Students who lived in the house were asked to find new residences and no special accommodations were made. Federal regulations prohibit the possession and use of marijuana, and since URI is a federally funded campus, the same rules apply. According to the University’s Student Handbook, students who are 18 years or older and possess up to one ounce of marijuana are punishable with a fine of up to $150. Students who possess one ounce to one kilogram can be punished with one year in jail and a $500 fine. All students living in fraternity and sorority chapter housing must abide by all policy handbook rules. The student handbook does not make any references towards punishment for the illegal handling or distribution of prescription drugs. 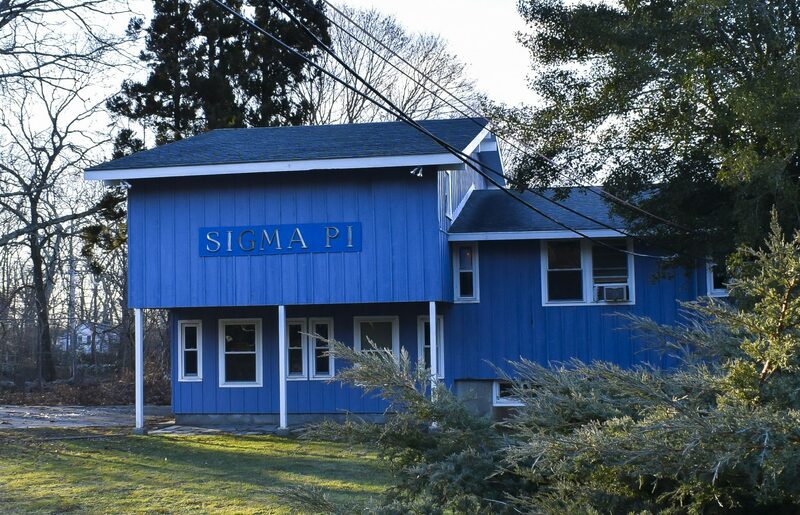 In Sigma Pi’s case, the inability to correct their probationary status resulted in their five-year suspension. The incident went under investigation and a report was sent into the Dean’s office. While the incident was under investigation the fraternity was subject to emergency suspension, and once it was concluded that the Fraternity failed to follow policy, a final decision was made for long-term suspension. Fraternity and/or Sorority probation generally lasts two semesters, but there is no set period for how long probation is allowed to last. The length of probation is dependent on the level of the infractions acquired. “Probation depends on what the initial infraction was. There’s different types of probation as well. It depends on what the incident was, and then how severe or concerning it was. There is no set sanction and that’s to give our conduct officers some flexibility in their decision making,” Dean of Students, Dan Graney, said. At this time, the Sigma Pi National Fraternity Council is unable to comment on the situation.